This evening, owners of the HTC One (M8) and One Max should see an email from Google, informing them that the free Google Drive storage they received upon activating their device has now been doubled to 100GB. Nothing needs to be done on the user side of things – Google will go ahead and add the storage to your account automatically. HTC is doubling the amount from 50GB for each device for the remainder of the offer’s promotional period. 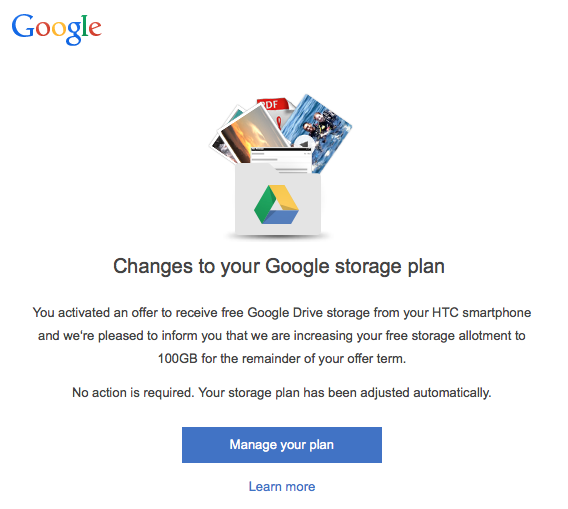 This Google Drive offer that came with select HTC devices needs to be redeemed by January 1, 2016, and is good for around two years. After that, the user can decide to purchase back additional storage. Understand that if a user decides not to buy more storage, that their files are still safe, they just may not be able to add any new files should they sit above a certain quota. 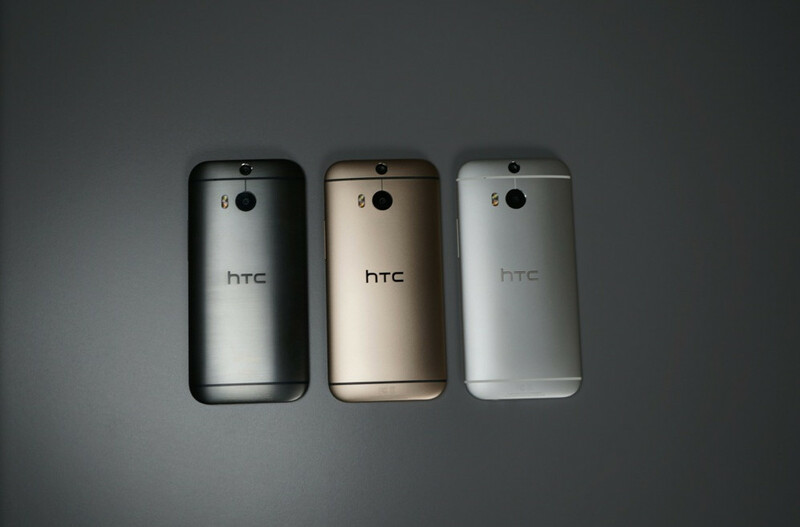 According to HTC’s Advantage site, the One Remix has a similar 100GB for two years deal. Samsung Galaxy Note 4 Live Blog!